When I was at the Mustache Dache, I was chatting with a friend and asked if her husband (also a runner) was at the race. Alas, he was not. She told me that he loves to race, but he hates the training. 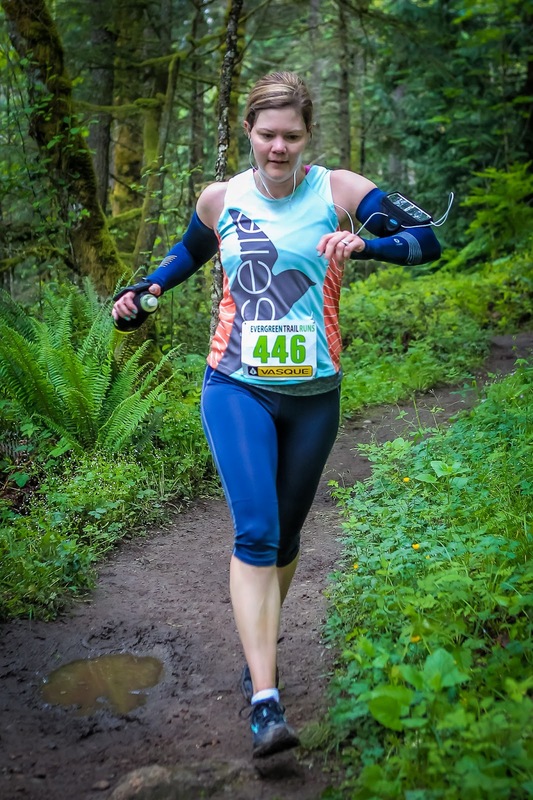 This week, in an email exchange regarding the Seattle Half, another friend said something like running isn't really fun, or as fun, until race day. On the other hand, in a Q&A section of the most recent Runner's World, a reader asked whether you could set running goals without racing. These exchanges got me to thinking about whether most people race just so that they can do the running, or do the running just so that they can race. Depending upon the circumstances, there are times that I can vacillate between feeling one way or the other. But overall, as much as I do love race day, I think I like it best once it's over! 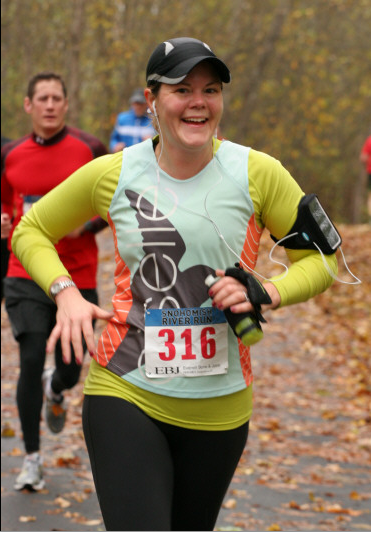 Don't get me wrong, I fell in 'run-love' while training for a race and set most of my running goals with races. But all the effort that goes into a goal race comes down to just one day - one morning with so many variables that are out of your control. The early hour, the nerves, the anticipation, getting into the pain-place to hit those goals isn't the fun part. Ah, always fun to break out this old pic! 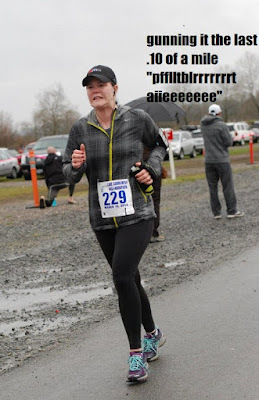 But, this was my half marathon PR race - gotta get into that pain-place. But, racing IS fun, too! Obviously, or I wouldn't do it all the time. I think this was a 10K PR at the time I ran it, and have since improved upon that time. 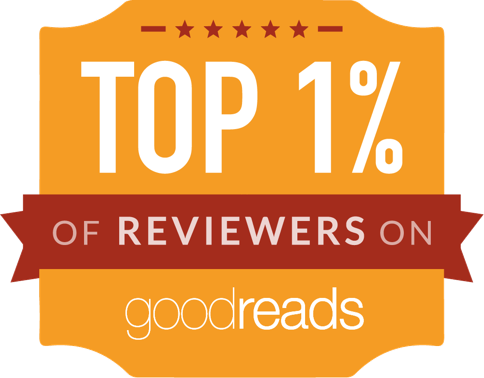 "That's the thing about running: the greatest runs are rarely measured by Racing success. They are moments in time when running allows you to see how wonderful your life is." So I would answer that Runner's World reader question with a resounding YES (as did RW), there are other ways to set running goals without having to race. You can do a running streak and try to work on consistency: set a goal of days run per week or per month. The same can be done with mileage goals. Or train to try new things, like a relay or a trail run. 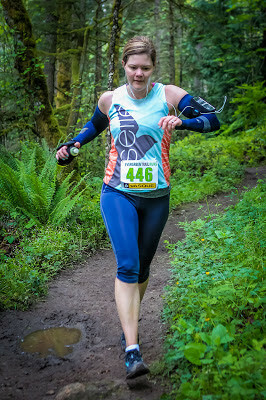 I'm really hoping to add more trail running to the schedule next year. Hope your hamstring turns it frown upside-down. Maybe you can channel a little extra spirit in my direction for the half! I'm excited but nervous, as this is my second half and I know what I'm getting myself in for. But I followed my Hal plan and built my mileage so I'm ready. I'm totally a race to run person, so for me it's really about what I've accomplished the last 16 weeks just as much as about Sunday's run. I really enjoy the training part, but in order to do the training part, there has to be a race at some point! But I'm with you, the race day itself can be kind of annoying. I hope your hammy starts behaving soon! !